Mark Wilson was working as a SCUBA diver on the island of St Martin in the Caribbean in 2017 when Hurricane Irma hit. A graduate of both the BSc (Hons) Marine Ecology degree (2009) and the MSc Marine Biodiversity (2011), Mark has just completed a memoir, reflecting upon the experience of surviving that ferocious storm. During the course of the book, while on a path to self-discovery, he also analyses some of his most life-changing encounters in and with the marine environment. Petrified and cowered in the corner of the room with the storm raging all around and with what can only be described as buckets of seawater being thrown into my face, I close my stinging eyes, try to block out Irma’s terrifying two hundred mile per hour howl and think, how did I get here? 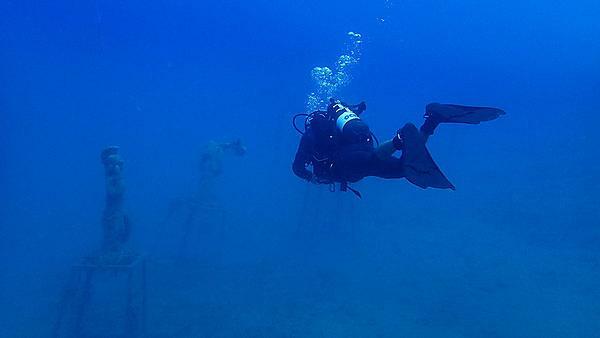 Jacques Cousteau described the Sea of Cortez, off the coast of Baja California, Mexico, as the world’s aquarium. Speaking from experience it is certainly full of life. The surrounding landscape is brown and mountainous and, unlike the sea, appears almost lifeless with barely a tree. Occasional tall cactus plants and tough shrubs cling to the ground with the same fervour they must cling to life in the harsh desert conditions. 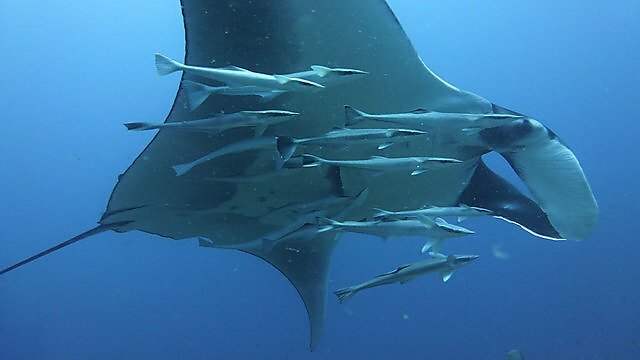 Diving with mantas for the first time in 2001 is something never to be forgotten and despite seeing many since, the first will always remain extra special. Majestic and graceful as it moves effortlessly through the water, it is perfect and I’m entranced. At times mantas seem as inquisitive about you as you are of them and will come so close you get to look into their eye. 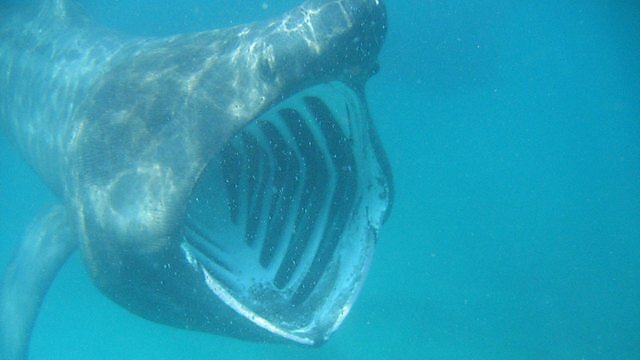 Like the white shark, its eye is one in which you can get lost and though you only get to gaze into it for a second or two you cannot help but wonder if he feels the same connection you are. 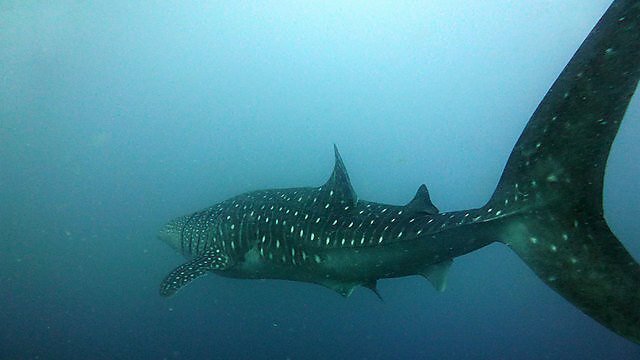 Like the manta, seeing a whale shark for the first time on Ningaloo Reef, Western Australia, in 2004 really is a dream come true. I am so excited there is no room in my head for any other thoughts; I even have to remind myself to breathe, in, out, in, out. Breathing through a tube and with my face in the water, vision is really my only sense and I am completely alone with the shark. I could swim with it all day and never tire of it. 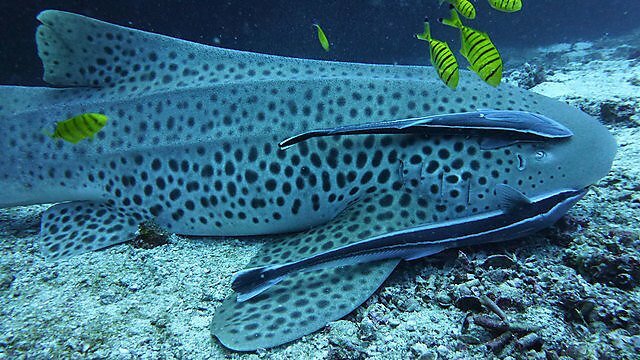 Maybe it will accept me as a larger than life remora and I can live forever at its perfectly white spotted side or under its broad flat chin. Simply being near the ocean is calming and reassuring, on it even more so. But when you are immersed in its magnificence and beauty, any pain and torment begins to evaporate until almost everything is ok in the world. But after a year of amazing underwater experiences in many different places, equally as important as the feeling the ocean gives me is a strong desire to give something back. I know what I must do. I will take control of a life without direction and go to university to study marine ecology. I complete a one year access course at Exeter College, followed by a marine ecology degree at the University of Plymouth starting in 2006. With experts from every field of marine biology and ecology, life and study at Plymouth is always interesting, supportive and, of course, educational, but perhaps more importantly, inspirational. After a wonderful, confidence building, enlightening and inspiring three years at Plymouth, I now have purpose and focus. The perfectly manicured lawns of The Hoe provide the perfect graduation setting and I almost can’t believe I’m here. The brilliant September sunshine illuminates and dances o n the surface of the calm waters of Plymouth Sound. Smeaton’s Tower lighthouse stands proud and the smell of freshly cut grass fills our nostrils, while my eyes hurt as the sun reflects off the large white marquees that will soon play host to our graduation ceremony. Throughout the course of my studies, and after my diving and snorkelling experiences before and during my time at Plymouth, my bond with the ocean has ever deepened. Whether directly or indirectly we all rely on healthy oceans for our own health, but the oceans could use our help. I believe members of the public can achieve great things when they are inspired to care. I also believe the ocean is a vastly under-used classroom. So what better way to understand the ocean and to be inspired to care than to have an educational, inspirational in-water experience and see the wonders of the ocean for yourself. 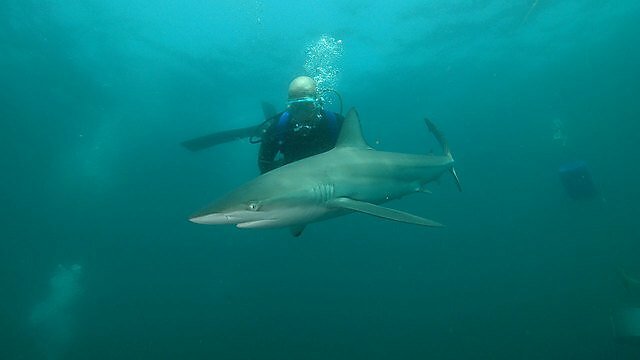 So much can be achieved in this way for the ocean and can be particularly helpful when trying to protect grossly misunderstood and heavily threatened species such as sharks. Anyone who sees a coral reef, a humpback whale or a manta or a shark will surely have a new appreciation for the ocean. Inspired people will become a voice, not just for sharks but for the broader ocean. Every new ocean advocate can make a difference and I firmly believe the more people that enter the water the better. New ocean advocates will be in a position to enlighten those around them, be that voice for the ocean and for sharks and I’m certain they will continue to act in some way to protect it. Soon after completing my masters, I am working for All Out Africa in Mozambique, on a whale shark and marine conservation project. Whether diving or snorkelling with enigmatic manta rays and whale sharks or among dazzling schools of fusiliers and shimmering schools of jacks or snappers I feel at one with the ocean and want to melt into her. I imagine my molecules merging with hers and remaining forever in her warm blue splendour. The ocean’s calming all encompassing embrace consumes me, there is nothing else when underwater, the water is the world; the world is the water. At the end of the day I often don’t shower, to do so feels like a betrayal. Some time after midnight I understand what it is to be afraid. I am afraid not just of Irma – who is real now, who has form and personality, a name, and who is here and has come to wreak havoc – but also I’m afraid of the unknown. I’m sure the roof is being ripped and torn from the building. It sounds like Marvel’s Hulk is out there tearing it off and any second now it will vanish and be replaced by his menacing green face glaring down upon us, relishing our fear and growing ever stronger as he feeds upon it. Yet for now, despite the ceiling violently flapping up and down, it continues to hold. While the objects – whatever they are – thumping into the side of the house are causing it to shudder and shake. I had no idea fear could be so prolonged. A sustained fear is a draining one. I can’t imagine the scene outside and try not to think about it. The ceiling and the ceiling fan in the kitchen are jumping up and down ever more violently now, in the same manner a canvas tent roof flaps and ripples in the wind. The waterfalls have become a mess of cascading torrents and any surreal beauty they had earlier has gone now. The water pours in and thrashes around the room as it is hit by Irma’s uninvited tendril, reaching in through the missing window. The three of us are soaked through by the warm thrashing water, which judging from the stinging in my eyes is more sea water than rain. This can’t be real; we are now in our own movie, but unlike actors, we have no stunt doubles. Irma’s howl is more monstrous and terrifying than ever, the sense of foreboding is excruciating. This is not stopping, and it is becoming ever clearer we have seen nothing yet. I want to scream at the top of my lungs, ‘if you have come to take us then take us, why make us wait any longer?’ I can only compare the monstrous noise to what it might be like to stand directly behind a jet engine, as I try to quash the terrible sense of impending doom and mounting hatred for our tormentor. And then it strikes me as odd that St Martin is where thrill seekers seek out such a jet blast at the airport fence. Then, somehow, the fear slaps me across the face and finds its peak and moves beyond frightening. Momentarily I don’t know quite what it is I feel. I am chilled to the bone, and a blood curdling panic goes through me, from my head to my toes. It penetrates and shudders through me to my very core. I have no idea what an explosion sounds like, but I hear and feel what must be an explosion. I am momentarily frozen to the spot as you might if you were out in the bush and heard a not too distant roar from a lion. We are together, yet at the core all three of us are exposed and alone with our own versions of fear, panic and dread. The senses are completely overwhelmed and time stops. My eyes are stinging even more now and I can barely see. The sound is different, and not only can I hear the wind, I can feel it. It is thumping and pounding at our chests in a manner anyone who has stood too close to a speaker at a concert will recognise. But this is different, Irma has no rhythm, there is no joy, no pleasure, she pins me to the work surface and beats on my chest like a crazed primate. Surely this is a bad dream and if I blink I will wake up. In the confusion it takes a few seconds to access the scene and realise we are surrounded by sheet metal and wood. A look to the heavens confirms the roof has disappeared and we are exposed to the elements, to Irma and all her might and wrath. Then a further terrifying crunch and an awful snapping and tearing sound fills my ears even over the terrifying howl. I squint more against the sting and struggle to see in the dark as I look towards the opening, to the office as she thumps at my chest forcing me back against the work surface. It looks different somehow, but I can’t work it out immediately. I realise the wooden extension has gone and I am looking outside. The office, along with Chris’ computer, printer and all business files, all must have gone, along with the entire wooden decking. Then I see that the glass door and curtains have gone too leaving two patio door sized openings. Essentially the back wall of the house is missing, along with the entire roof. Irma will be released in 2019.